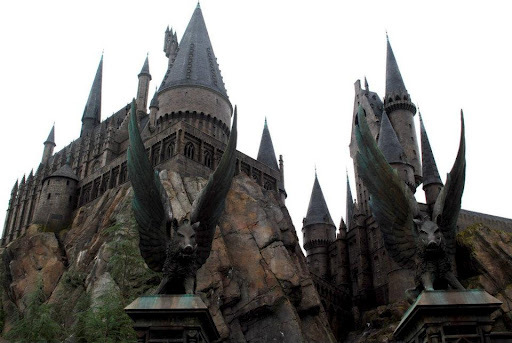 I’ve returned from the Wizarding World of Harry Potter! It was so amazing, and I have so much to share! My mom is a semi-pro photographer with a big fancy camera and I’ve been waiting for her to sort through and upload the amazing pictures she took before I started my posts. You’ll notice I said POSTS. As in plural. I’ve decided I have too much to share (and too many amazing photographs) to just do one post. I’ll try not to give too much away for those of you who haven’t journeyed to the Wizarding World of Harry Potter. But hopefully my posts will either bring back memories of your own trip or entice you to travel there yourself! 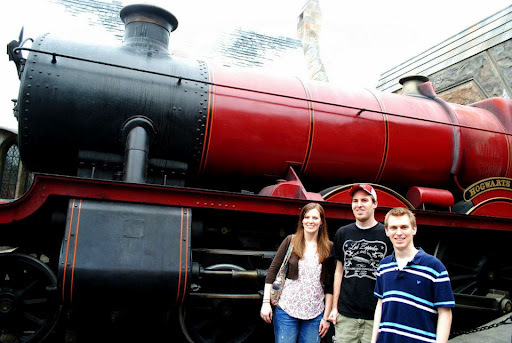 Me with my brothers in front of the Hogwarts Express! This entry was posted in Harry Potter. So glad you had fun! I can't wait to get there, myself! OMG OMG OMGOMGOMGOMG I'M SO EXCITED FOR THIS FEATURE. I MISS WWOHP SO MUCH!!! Definitely go in the off-season! Avoid the crowds! Yippee!!! Glad you're excited! Your tips were so helpful! I'm glad! AHHH I CAN'T WAIT TO RELIVE EVERYTHING THROUGH THESE POSTS! !